There can certainly be no doubt that, for UK based hiring firms at least, having a strategic growth plan in place for the coming year is vitally important. And while there’s a lot of negative discussions around the UK’s future following March, getting stuck on the ‘what if’s’ will do little to help agencies weather the storm and expand their firm. The fact is, while there is uncertainty ahead, the international contract recruitment arena looks set to continue to thrive, meaning there will be demand for expert agencies with an international remit, no matter what Brexit deal is (or isn’t) agreed. For those recruiters looking to continue on their growth trajectory in the coming year, now is certainly a good time to be looking at the most profitable markets. There are of course, many ways to expand a firm, whether that be through investing in new markets or geographies, or launching a new desk. However, arguably the most cost-effective method is to expand existing accounts. When you consider that winning a new client involves a wealth of time and resources, making more of the relationships you and your team already have is certainly a strategic move. Investing time in strengthening relationships with international clients by expanding your remit across borders can reap huge rewards. In these instances, not only do you have the benefit of already knowing the company inside and out, but key stakeholders have also already brought into your services, making it much easier to sell your firm to them. Perhaps more importantly, though, by expanding the scope of work you provide to a client to cover an international remit, you can better eliminate some of the competition. The simple fact is, if you’re not delivering the staff, someone else will be. Waiting around for another agency to move in on the account you’re already working on isn’t a sustainable approach, but moving in on other areas certainly makes good business sense. Taking steps to expand your global reach isn’t just about tapping into existing accounts, though. For international contract recruiters, it simply is a must in an era when the world is arguably getting smaller. 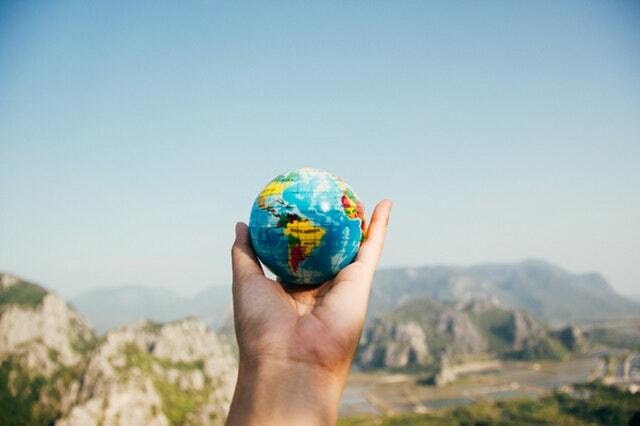 As global mobility becomes more appealing to employers and contingent workers alike, both candidates and clients are increasingly seeking out an agency that has international expertise. As such, regardless of your company size, it’s important to continuously look at overseas expansion opportunities or risk your business stagnating. And for agencies operating in the UK, sticking to this already saturated market is unlikely to yield the desired growth results. With an ever-growing number of agencies being set up across the country month-on-month, looking further afield to global destinations where there is a fraction of the competition is quite simply a no-brainer. However, while this may all sound simple on paper (or blog, as is the case), placing contractors overseas can be a compliance minefield and shouldn’t be navigated without careful thought and planning. For those expanding their firm through existing client growth, it’s important not to overlook the fact that that if you get it wrong you could cause the end client and your agency to face potentially hefty fines. A sure-fire route to losing a client altogether. As a case in point, incorrectly paying a contractor in Germany, for example through their UK limited company, not only means that the contractor is operating outside of the country’s legal parameters, but could also put you in breach of the Criminal Finances Act in the UK. And of course, each jurisdiction is different, further exacerbating an already complex compliance landscape for contractor recruitment, an issue which will only get worse for UK firms after March. So how can you balance global employment law and tax requirements with your firm’s need for international growth? While some choose to build an in-house compliance function, this does result in the need to increase headcount, provide continuous training and has the potential to limit the scope of expansion to the destinations these individuals have dealt with before. Those looking to expand without this drain on resources, however, have the option of turning to an expert company with a team of highly-trained experts with experience across more than seventy countries is certainly a more cost-effective way to profit from international markets. If you are already working internationally or thinking of growing your contract business through international expansion get in touch today for an initial discussion on how we can help you achieve your growth plans legally, compliantly and profitably.